Welcome to our free online CPR course! Anyone can take this course to learn how to perform CPR on an adult, child or infant. 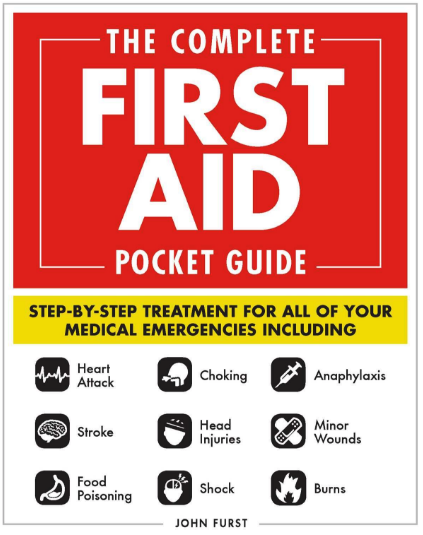 If you want to learn more first aid skills then take also have a look at our basic online first aid course. Simply work your way through the online CPR course modules below. You will need to create a profile (register) and login if you haven’t already done so. Here are the modules for our online CPR course. Please remember to mark all the modules as completed, you will receive a certificate upon completion of this course. Unit 2 What is CPR? Please remember to mark all the modules as completed otherwise you will not be able to download your online CPR certificate. Modules marked as completed will have a green tick next to them above. If you experience any problems please visit our help pages. Did you ever receive the certificate? YES i did receive the certificate. Thank you Mr John am so grateful for the opportunity . Can these certificates e used as verifiable CPD? It is up to your employer as to whether they will accept these certificates as CPD. How long do these certifications last. 2 years? Did not see a expiration date. As there is no skills assessment our certificate does not have an expiry date. We would suggest reviewing the material every year. There is a button at the end of each course unit allowing you to mark the unit as complete. You cannot just mark, go through the courses, they are very educative and you will not just want a certificate without going through the course. We don’t provide a specific course for pharmacists but any one of our classes would be suitable for a pharmacist to take. Hope this helps! Thank you so much for this opportunity. Basic First aid course was so genuinely presented and helpful. Excellent, glad you enjoyed our basic first aid training! Hello, these courses were very helpful. Is he CPR certificate certified? Yes we do not charge for our courses or certificates. How long are the certificates good for? I just did the CPR, First Aid, and AED? How do I receive my CPR certificate? Thank you for this course; I’ve done many live CPR course; and getting re-certified online was great. Just completed my basic first aid course ,I really enjoyed it!. thank you so much, i just completed level 1 and level 2 ! CPR time. Is there one for BLS certification? Our online first aid course covers basic life support. If you have already taken the course, is there a way to take it a again later on (as a refresher)? I need to “renew” my certificate. How can I do that? In other words I’ve completed it once but the cert says a date of 2/2017 and my org is requesting that I take it again so it says 2018. Hello I have to complete this training every year, but it does not give me a way to start over and if I get a certificate it says the date of the first time i completed it. Is there a way to reset the module so that I can get a certificate with this year’s date? If you drop us a message using our contact form we can reset your account for you.